Thanks ladies! She's a beauty, takes after her Daddy! 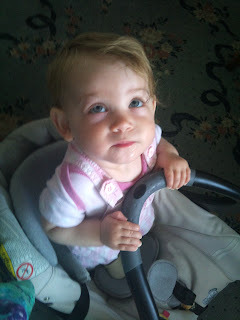 It was such a random shot, as I was un-strapping her from the car seat she just stood up and looked at me like this!